The Rocket IGT air rifle gets its name from the inert gas technology which provides exceptional power and accuracy for laser flat trajectories. The IGT also incorporates Gamo's own smooth action trigger system that enhances precision by maximising control over shot placement. The stock on the Rocket is made from an incredibly tough synthetic polymer that is lightweight and strong and has been ergonomically shaped for a comfortable shouldering position. 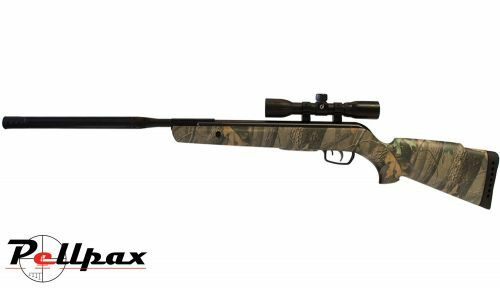 The stock is camo finished to keep you hidden from your target which makes it a great hunting air rifle.